It is possible to use your own computer at the library. 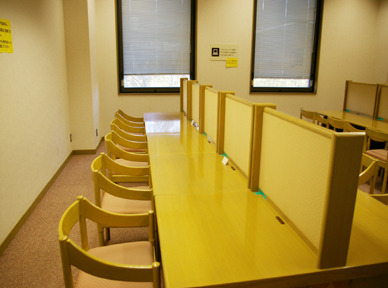 The Computer Room (or "Wa-puro Ru-mu" in Japanese), where you can bring in your own notebook computer, has power outlets to accommodate up to 20 units. You may use your computer in this room, but only with library material. There are no restrictions on how long you may use this room. 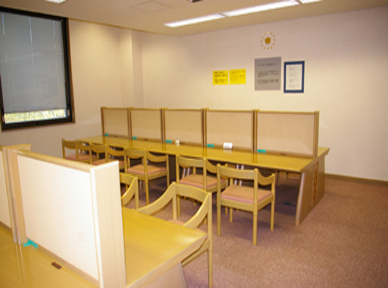 However, as you will be bringing in your own computer, please take extreme precaution against theft.To use the room, you must apply at the reference counter on the 2nd floor. Availability is on a first come first serve basis.